This might be the first ever "official" GI Joe/Transformers crossover piece (not counting the SDCC exclusive sets which aren't based on official cannon). 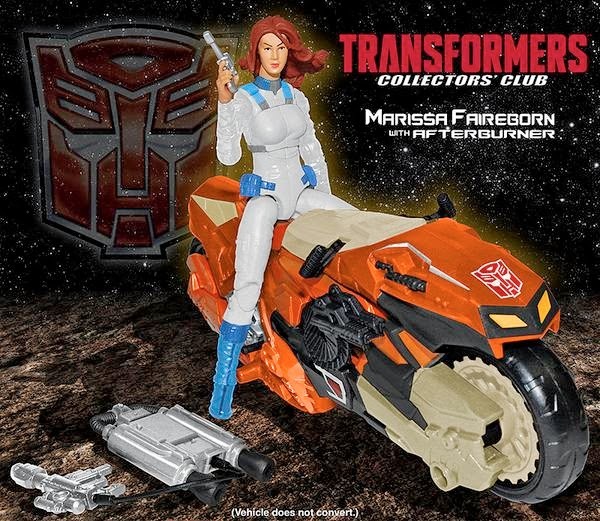 Marissa Faireborn is a human character that appeared in Seasons 3 and 4 of the Transformers cartoon series. 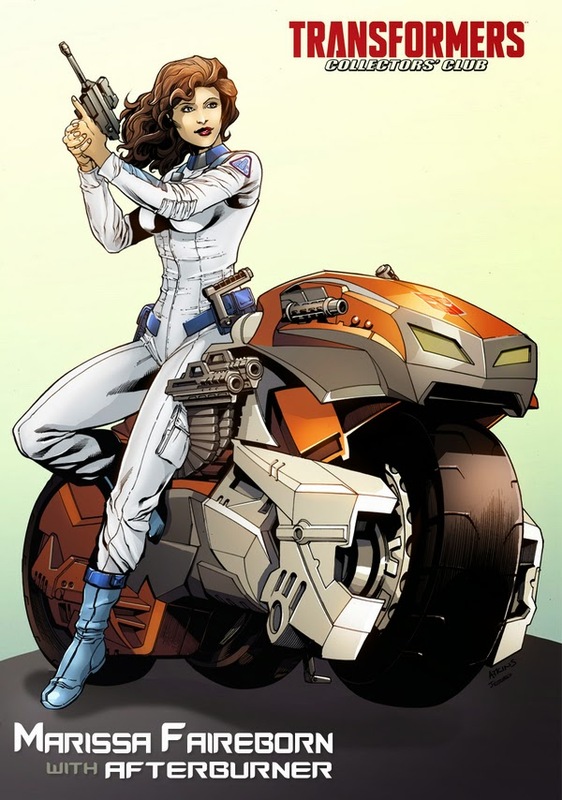 The "easter egg" involving this character was that she was the daughter of Flint and Lady Jaye from the GI Joe cartoon series! 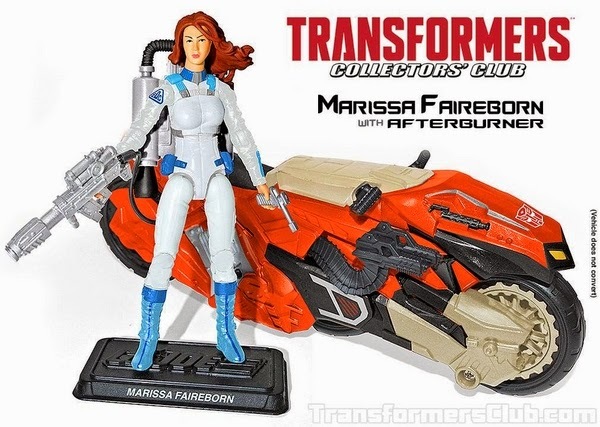 You'll only be able to order this set if you are a member of the official Transformers Club.